Why consider a lecturing career in a college? Renowned for their large communities and robust support networks, FE colleges account for one of the largest education sectors in the UK. Courses in FE colleges span academic, vocational and leisure learning, with qualifications ranging from GCSE, AS/A levels and Apprenticeships, to Higher Education courses such as Higher National Diplomas (HNDs) and Foundation Degrees. Learners attending FE colleges tend to be aged 16-18, but there are many older students who enrol in courses. Younger learners are also accommodated following the introduction of the 14-19 Diploma as an alternative route to GCSE/A levels. FE colleges developed in the Victorian era, when the education was focused on two areas: the personal development of adults, and specific work-related training*. The 1940s saw the introduction of the Education Act, which called upon local authorities to support and govern education for their populations, meaning that compulsory school and post-16 education fell under public sector management. All this changed in the early 1990s, when the Conservative government made the decision to move college management from local authorities to independent organisations in a bid to drive down costs. The government put forward minimum requirements for the number of business members involved in the governing of colleges, aiming to bring business thinking into the public sector. But Labour removed these restrictions when it came into rule in the late 90s, granting other stakeholders a voice. Fast forward to today and most FE colleges are controlled by the Department for Education (DfE), which took over from the Department for Business, Innovation and Skills (BIS) when it was abolished in 2016. colleges are represented by the Association of colleges and are subject to Ofsted inspections. While most colleges teach vocational subjects which equip students with the essential skills and knowledge to pursue a particular career – such as engineering and hairdressing – the UK also boasts numerous specialist colleges. From arts to marine and agricultural colleges, these organisations house cutting-edge facilities and equipment and receive additional funding to enhance their programmes. Many of these colleges are considered leaders in their specialisms and as a result, attract large numbers of FE lecturers. Why work in an FE college? 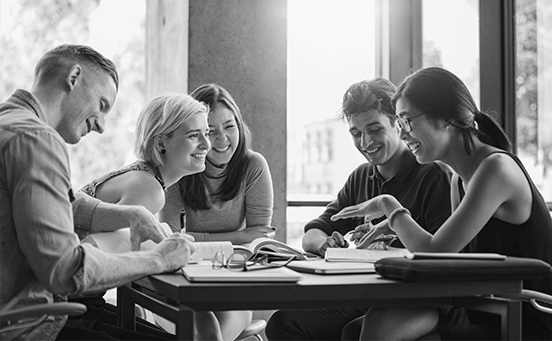 Given the wide range of courses and qualifications available, FE colleges attract students of all ages, backgrounds and skill sets; and it’s this diversity that inspires so many lecturers to work at these organisations. FE colleges offer something for every type of lecturer and the teaching style tends to be more relaxed and informal compared to other establishments. Also, given the size of FE colleges – many are spread across a number of campuses – lecturers can expect a large, inclusive and supportive community. FE colleges offer a chance for lecturers to enrich the lives of their students through education, but also progress in their own career through development opportunities.